Greetings and Salutations! 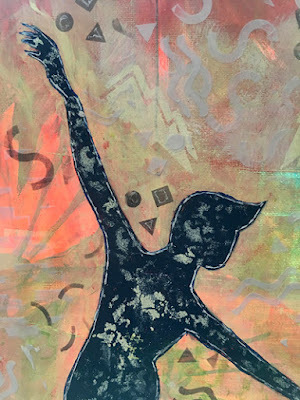 It's Carol Baxter from StencilGirl® waving at you. Mary Beth Shaw and I think the world of our StencilClub Voices! 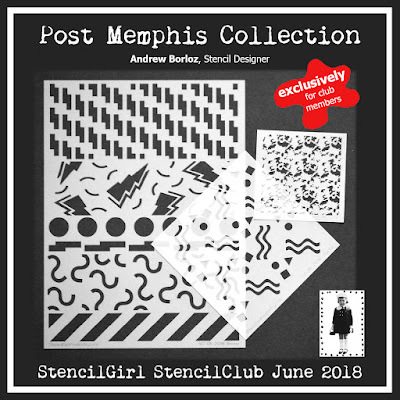 This month, Peg Robinson, Kim Ross, and Pamela Levingston have stepped up to share the fun they had with the May 2018 StencilClub set, Post Memphis, designed by Andrew Borloz. Peg writes: "These stencils started me thinking about Cinco de Mayo celebrations and the festivities. I think that is where the bright colors and fun character sprang from in these pieces." 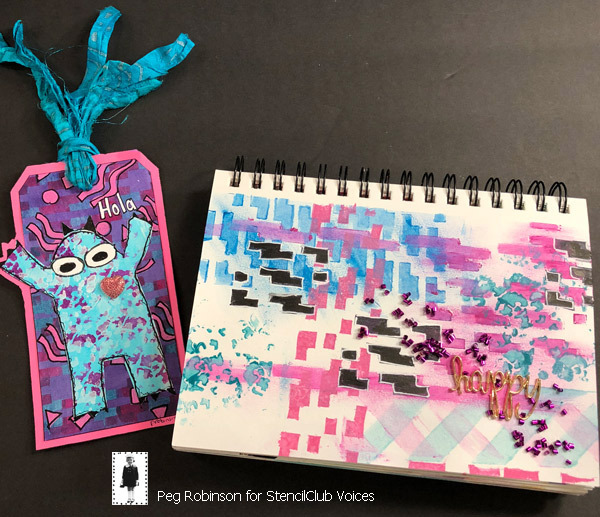 You can see Peg's process in a video tutorial on her blog. Kim writes: "Andrew’s stencils were exactly what I needed to bring my figures to life. When I first saw them, I thought they looked like a celebration of confetti! The swirls and twirls combined perfectly with the squares, triangles and circles, and I really loved the shazam power of the lightning bolts. I can’t wait to use these terrific stencils on future projects!" "The page is called BAM POW. You can recycle your old art into something new. 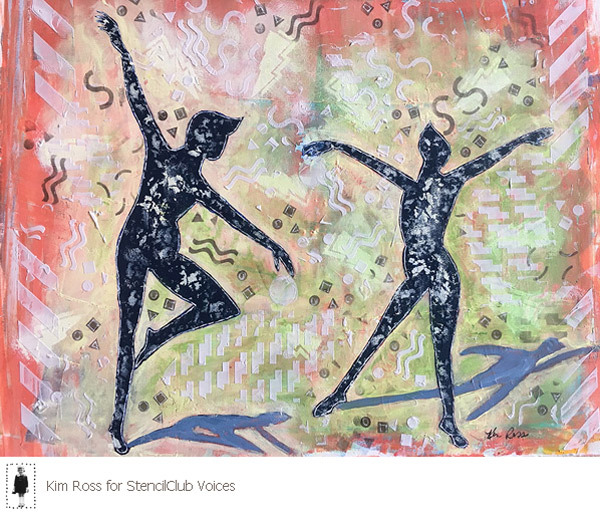 Scan it, and print and it grab your club stencils and turn your old art into something new." 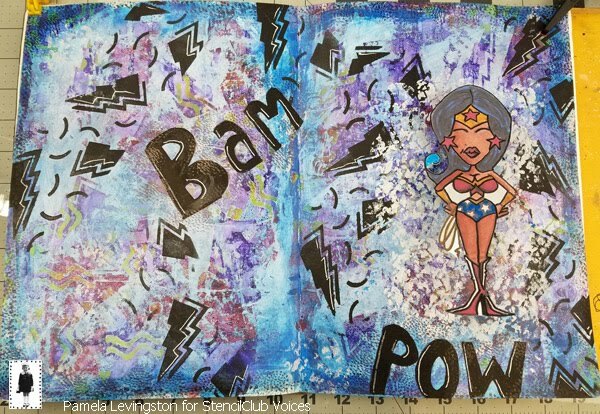 Catch Pam's blog post with a tutorial video about her art journal spread spread. I wanted to make a birthday card for someone special who keeps telling me, "No birthdays!" I left room to write a sentiment. ... and OK. Perhaps this needs an "a" to make it A OK? 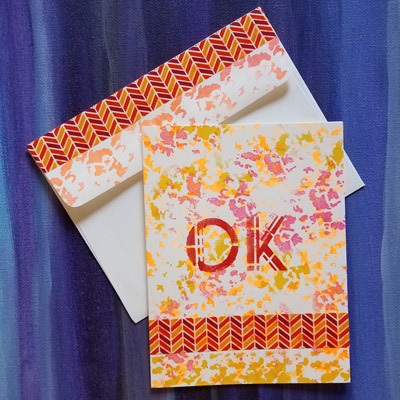 The one above has stenciling under the washi tape. 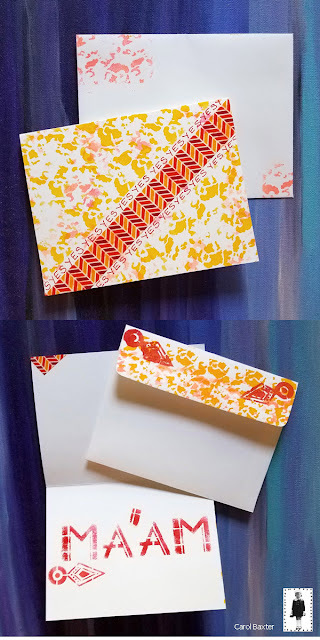 I will still send it off somewhere, because a wise person once told me that there were no mistakes in scrapbooking or card making, but I do think the one below looks better. Oh! I just realized I have patterned rice paper that will match up with these Post Memphis stencil, paint color, and washi tapes. Now to find it so I can create an art journal spread! Wow, what a diversity! All of these pieces are really different and unique from each other. I enjoy see how artists use the Post Memphis stencils in different ways. Thank you, Peg, Kim, Pamela and Carol for sharing your unique approaches. They were a pleasure to work with! Such fun, happy stencils. I really had a good time using these. Thank you. 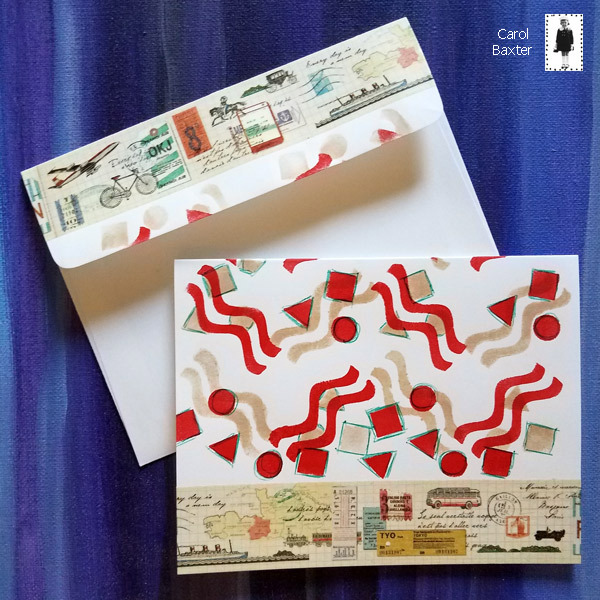 Before I realized Carol's note cards were this month's Stencil Club stencils, my first thought was, I have got to get this stencil! 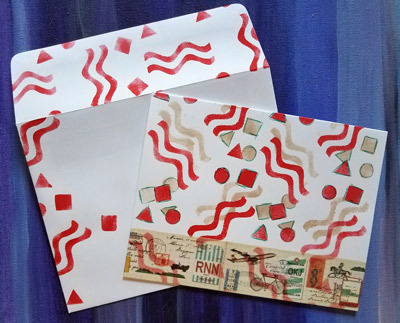 Now I am excited that I will be getting the Post Memphis trio of stencils! Woo Whoo, lucky us!